One thing I like to do with my time is read. I read a lot, and I love to read books that teach me something either about myself, or about the world. I’ve compiled a few great lists of books here on the blog in the past, such as 10 Books on Business, Entrepreneurship, and Community You Should be Reading, and 25 Must-Read Books for Agency Executives. Now, here are some book recommendations specifically about time management. For most of us, mornings are the time of day we dread most. From hitting the snooze button repeatedly, to trying to get the family organised and out the door before you go insane, it seems inconceivable that for most successful people, mornings are the most productive time of day. According to time-management expert Laura Vanderkam, mornings hold the key to unlocking our full potential. 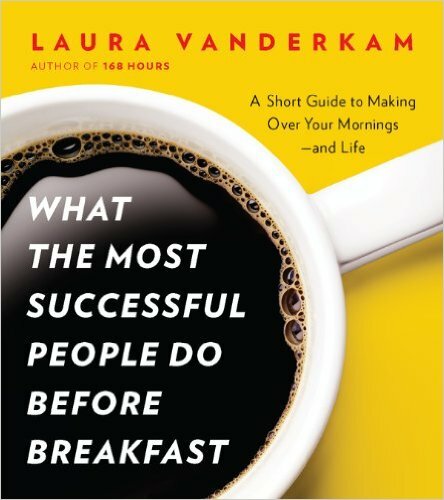 In this short book, Laura interviews hundreds of entrepreneurs, politicians, CEOs, and other awesome people about how they use their mornings, and gives you a practical guide for making the most of the sunrise hours. Laura’s style is friendly and anecdotal, and you’ll be able to digest this book and its lessons in a couple of hours. This book, published in 1990, has sold more than 10 million copies and is an absolute classic. There’s a reason for that. The advice inside is timeless. 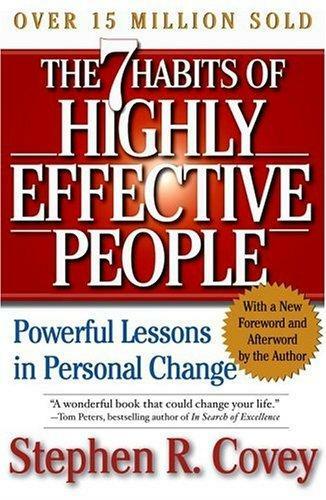 7 Habits of Highly Effective People isn’t a “quick tips” kind of book - Covey’s technique focuses on forcing a paradigm shift in the way you think, a change in perception and interpretation of how the world works. Habit 1, in particular, is a favourite of mine. Here, Covey discusses being proactive. We are responsible for our own lives, therefore, we possess the initiative we need to make things happen for ourselves. He categorises problems into three categories - direct control, indirect control, and no control, and encourages us to focus on solving those problems that fall into the first category, while not allowing the other problems to affect our behavior, mood and performance. Covey’s book looks at time management and productivity in all aspects of your life, and is practically essential reading if you want to solve problems and improve your life. 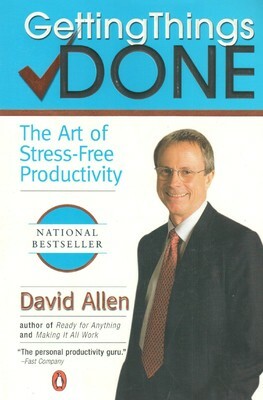 David Allen is a veteran management consultant and coach, and in Getting Things Done he shares his methods for stress-free performance and productivity that he’s brought to tens of thousands of people. Allen’s approach is all about how getting organised - if done cleverly - can eliminate the stress of feeling overwhelmed with all the stuff you have to do. Even though all the stuff is exactly the same, with a system in place, much of it becomes autopilot. Allan wants you to free your mind from stressing about all this fluff and focus on what you really want to focus on, whether it’s getting that new business started or finishing that novel. Popular insights from Getting Things Done include the "do it, delegate it, defer it, drop it" rule for clearing your inbox. Much of this book is focused on the work environment, with tips for keeping projects on track and reassessing goals, but it can be applied to other aspects of your life, as well. The book also includes a handy flowchart of Allan’s system - which can feel a bit convoluted at times with lots of random terms. Hang this chart over your desk to refer to when required. You won’t be sorry. View Getting Things Done on Amazon. “Forget the old concept of retirement,” writes Tim Ferriss in this highly influential book. Instead, Tim outsources most of his business, allowing him to work onto a few hours a week and take “mini-retirements” of a few months, where he travels, learns languages, and writes his books. 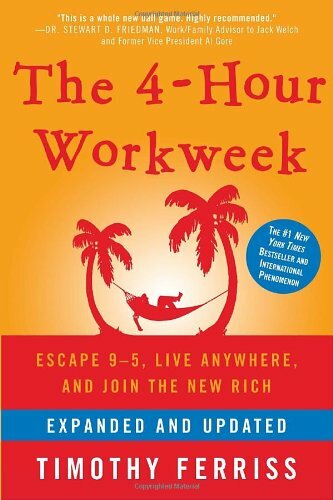 The 4-Hour Workweek is Tim’s manifesto for his lifestyle, where he teaches you the techniques he uses to outsource his life and eliminate unnecessary tasks to focus on what’s truly important. Much of the book focuses on how to outsource mundane tasks to virtual assistants for $5 an hour, freeing up your time for whatever you want, and using selective ignorance and a low-information diet to cut down on “unnecessary” work. Tim also has some excellent - and sometimes offbeat - ideas for taming your inbox and negotiating with your boss. I’m going to be honest here. I actually wasn’t as big a fan of this book as I expected to be. Don’t get me wrong, Tim’s writing style is engaging and he definitely gets you enthused about his concepts, but I found a lot of the advice in this book too difficult to apply in most situations. Also, he is one smug dude, and some of the tips, particularly in the negotiating section, I found a bit amoral. Really, what Ferriss is trying to do is to get you to assess what’s really important in life, and look at designing your life around that. I definitely recommend this book if you’re looking for a nudge to restructure your thinking and live life in a unique way. View The 4-Hour Workweek on Amazon. Have you ever heard of the phrase “80% of your results come from 20% of your causes”? - 80% of your revenue comes from 20% of your customers. 80% of your Well, this is the book that first introduced that concept, back in 2001. This book is all about helping you achieve more by focusing on that 20%. The tenets of Koch’s system focus on keeping things simple - complexity often breeds inefficiency. As well as that, celebrate exceptional productivity. Time management isn’t about doing more - it’s about doing the right things at the right time. 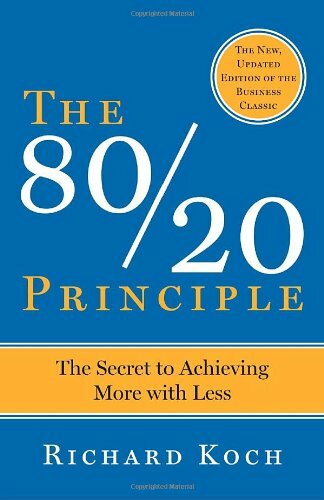 View 80/20 Principle on Amazon. Of course, there are literally hundreds of books out there on improving time management, and you wouldn’t have a lot of time left for other things if you read them all. If you’ve enjoyed one of these books - or another book I haven’t mentioned - then leave a quick review or recommendation in the comments.